The biggest advantage of a trade show promotion is that it can build an organization’s business with potential industry buyers and suppliers in a short time. Abrams and Bozdech (2006) suggest that not only are all these contacts under one roof, attendees are specifically there to see what each company has to offer. In other words, trade show delegates have needs and interests. In many cases, they have set time and money aside intentionally for these events just to get to know a company and their brand better. 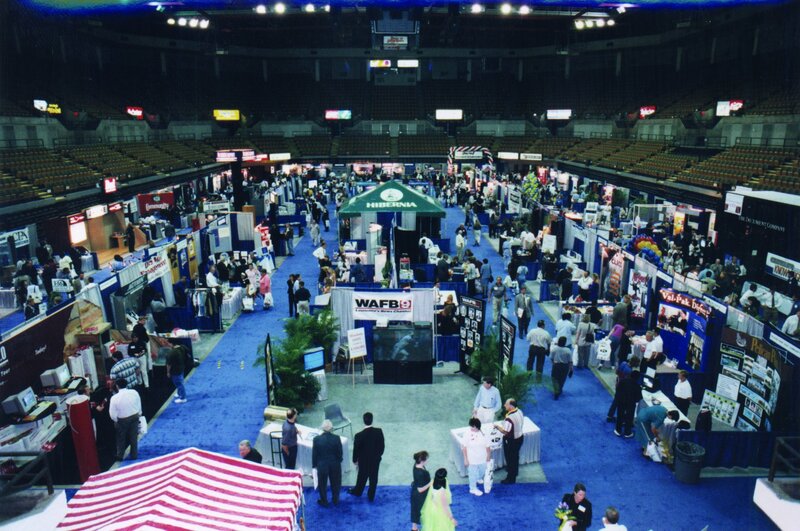 With the right strategy, trade shows can: (a) land big accounts, (b) launch a new product, (c) develop a database of hot leads, (d) develop key strategic partnerships to reach a larger market, and (e) build new business opportunities and solidify current relationships (Abrams & Bozdech, 2006). Regardless of the size of the trade show, exhibitor’s objectives remain the same: to effectively impact corporate sales and help them achieve marketing goals. Trade shows benefit buyers, sellers, manufacturers and retailers. Baack and Clow (2012) contend that they are utilized as a business-to-business marketing strategy to increase commerce and get a closer look at the competition (Baack & Clow, 2012). In addition, trade shows can help strengthen a company’s brand and image. For example, a mortgage and loan company will set up a booth at home improvement trade show, to help build their business. People that attend home improvement events may also require financing. Brokers and agents that set up a trade show booth at an event like this are more likely to find new business leads because it is an excellent opportunity to meet people than can use their services to help them achieve their dreams in property ownership and improvement. 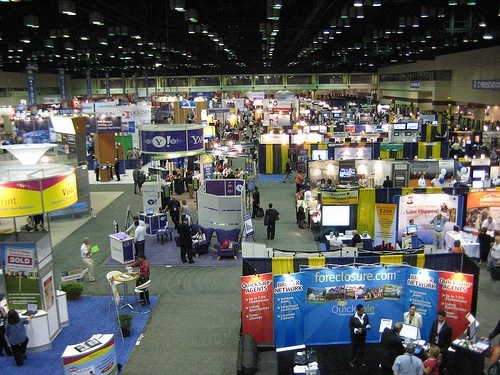 Trade shows are one of the oldest forms of marketing used by mankind. Miller (1999) explains that they are also one of the most powerful sales and marketing tools available to corporations today. However, there are many reasons why trade show exhibitors can fail. One of the biggest reasons is that they are not fully prepared. For example, a company will hear about a huge industry event that will attract 50,000 buyers. Most assume that out of those 50,000 buyers, they have the potential to generate a few thousand leads. If they do not have an effective plan in place that includes a focused strategy, the ability to serve and follow up on that volume of people, they will not experience a substantial return on their investment. Other problems companies face is that they are not effective on measuring trade show success. Unless the organizers know how to accurately forecast and manage potential sales, the show can become a failure. Another factor that creates challenges is that trade show exhibitors spend most of their time and money on the hardware component of the show. This includes rental space, exhibit design, dry goods, and show services. However, Miller contends that the software component is the side that will yield the highest returns. This includes such tools as direct mail, telemarketing, effective staffers that can represent the brand effectively, special drawings and giveaways, as well as post-show follow ups. This aspect is the most important, but given the least amount of focus (Miller, 1999). The primary goal of a trade show is to bring industry professionals together to introduce them to new or existing brands and vendors. Exhibiting at trade shows can be one of the best decisions a company can make, if they have done their homework efficiently to develop effective plans and strategies that will help them yield the highest outcomes. Abrams, R., & Bozdech, B. (2006). Trade show in a day: Get it done right, get it done fast! Palo Alto, CA: The Planning Shop. Baack, D., & Clow, K. (2012). Integrated advertising, promotion, and marketing communications (Fifth ed.). Upper Saddle River, NY: Pearson Education, Inc.
Miller, S. (1999). How to get the most out of trade shows (Third ed.). Chicago, IL: NTC Business Books.